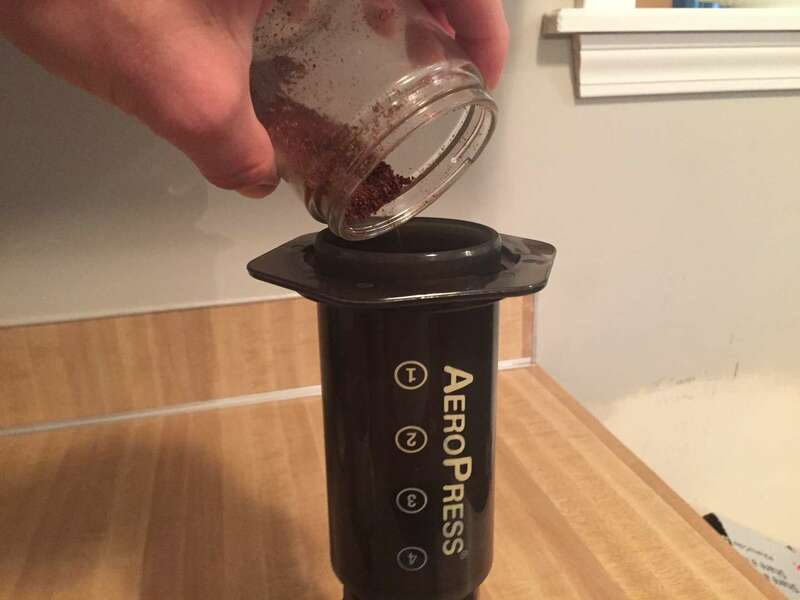 I've found that a lot of people are starting to use the aeropress upside down. This leads to fewer leaks during the brewing process and makes you look like a mad scientist the whole time. Let's get into it. Note: This is not a recipe. I recommend finding one from your favorite roaster or downloading the Aeropress Timer app. http://aeropresstimer.com/. This is just a guide to show you what the recipe means when they say "inverted method". Screw the cap on as tight as you can. The flip! In one swift motion, flip the whole assembly on top of your cup. 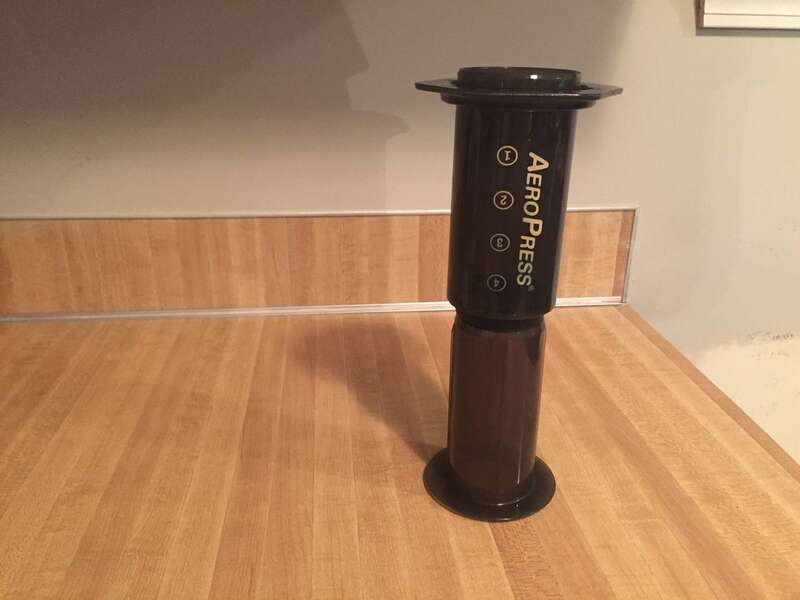 Starting with a fully disassembled aeropress, insert the plunger just far enough so that it is secure inside the chamber. Then, place the aeropress on your counter upside down. My recipe calls for 4 "shots" of water, so I'm filling all the way to the top. Your recipe may or may not tell you to do this but I always do. 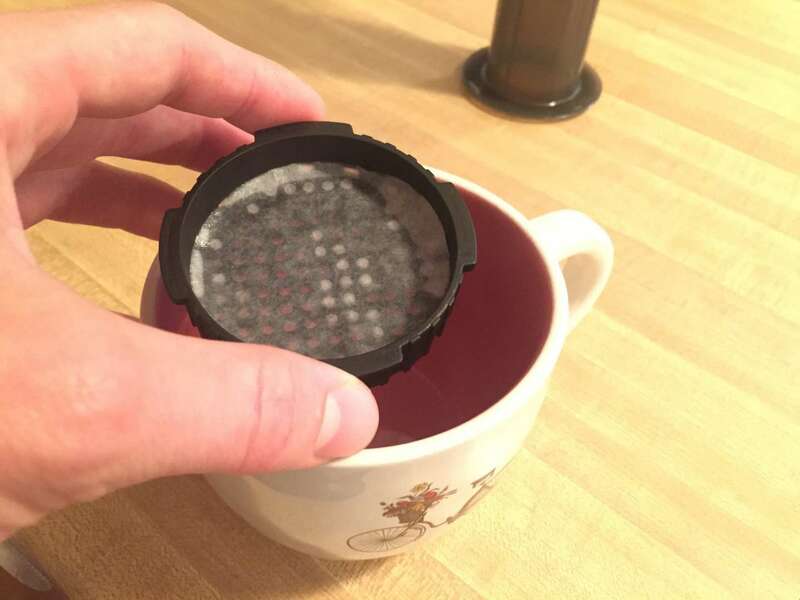 It removes any possibility of paper flavor in your coffee and helps the filter stick to the aeropress cap, which is helpful for the next step. 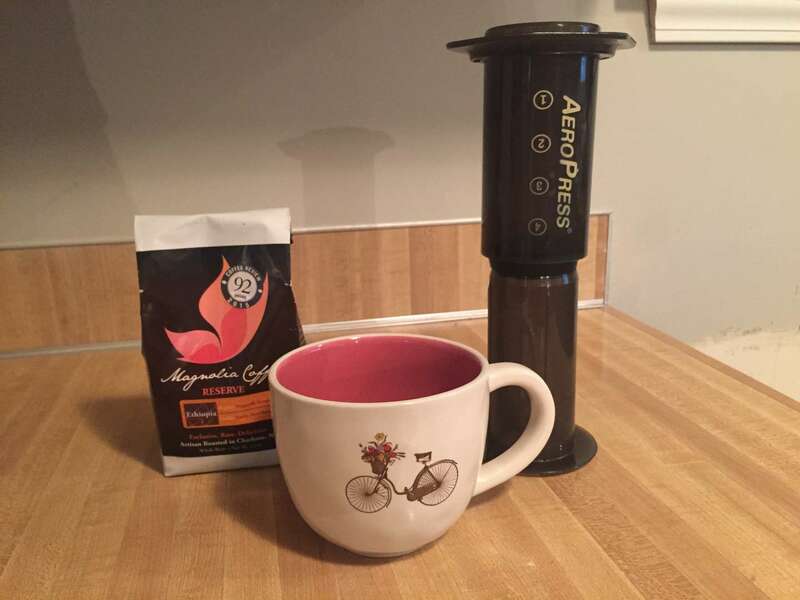 Right at the time when your recipe says to flip or plunge, grab both the plunger and body of the aeropress and flip it onto your cup. 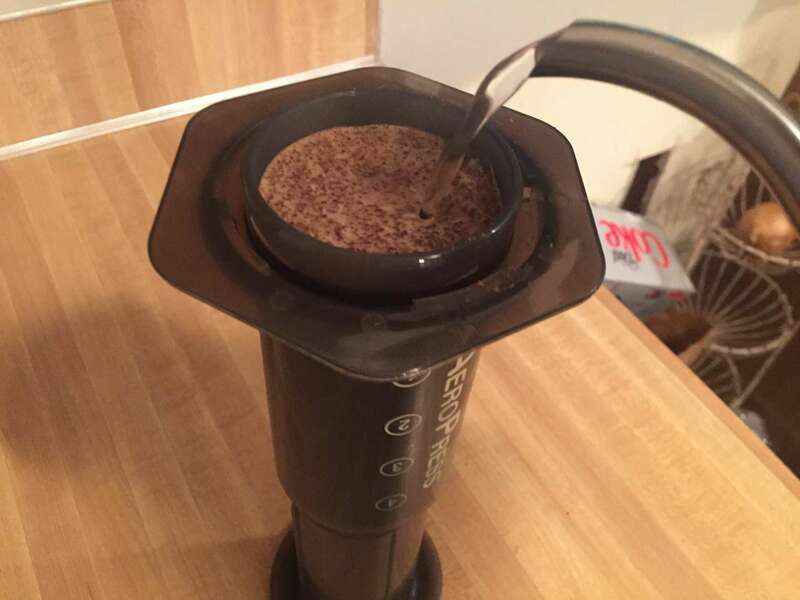 Be careful to hold the plunger in the exact position its currently in or you could get a blowout (where the seal is broken and hot coffee grounds and water leak out the back). Your recipe should tell you the amount of time to plunge.